Everyone gets headaches occasionally. They may be the result of illness, lack of sleep, dehydration, hormonal changes, and even stress. However, when headaches become a routine part of your life, you should start taking them seriously. 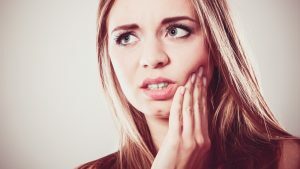 If you have frequent headaches, you may want to get checked out by a professional to find out whether your temporomandibular joints (TMJs) are behind your pain. Make an appointment at Fresno Dental Studio to have your TMJ function checked. There are solutions to TMJ disorder that may be able to end your pain. Call us at 559-297-1294 to make an appointment with Dr. Denes. TMJ disorder is a common problem and is caused by dysfunction in the joints that open and close the jaw. TMJ can be caused by improper bite, degenerative arthritis, or an injury to the face or jaw. There are several moving parts in the functioning of the jaw when you speak, eat and breathe—so TMJ can manifest differently in different cases, depending on the specific dysfunction. TMJ disorder can also cause muscle spasms and twinges in the facial or jaw muscles that get over-stressed or overused when the jaw doesn’t work right. One of the most frightening tell-tale signs of TMJ problems is a feeling as though your jaw gets “locked” when you are trying to close it. This can be especially alarming if it happens to you, but it usually resolves on its own before panic sets in. Headaches are a common (and commonly missed) symptom of TMJ disorder, since people are often quick to write off their headaches as “stress-related” and therefore potentially untreatable. In reality, the TMJ-related muscle spasms that cause head pain are actually very treatable. 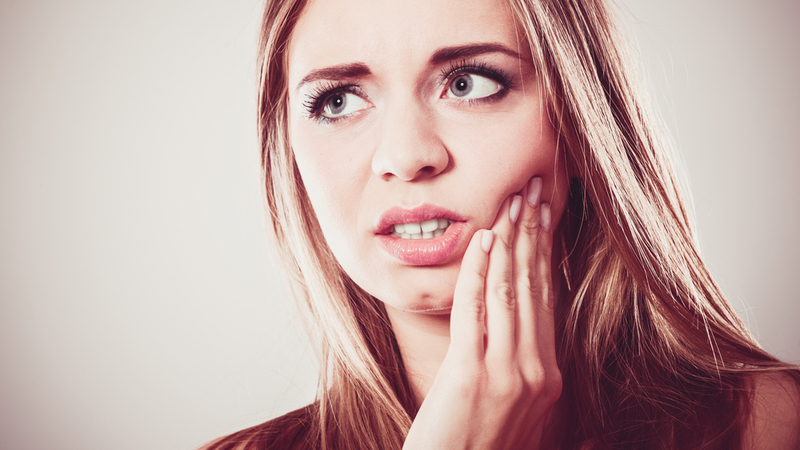 How is TMJ Disorder Diagnosed and Treated? As mentioned, different patients may have different symptoms, so we always start a TMJ consultation by listening to your symptoms. We will also feel your jaw, face, and neck while you open and close the jaw. Next we will conduct an examination of your teeth to look for signs of bite misalignment or enamel damage and conduct a facial scan. Using advanced scanning techniques, we can see all the soft and hard tissues of the face and jaw–so we’ll be able to see what’s going on inside your jaw when the mouth is open and closed. There are a number of possible TMJ treatments available, so treatment plans can be as unique a the patients experiences the symptoms. Contact Fresno Dental Studio to learn more about TMJ treatment. Call us at 559-297-1294 to make an appointment or request an appointment through our website.